Like virtually every sunrise I see, this one is accidental! Not being a morning person, I see many more sunsets but happened to be up early one morning in October. This struck me so much that I had to grab a sweater, my camera and shoes and go out into the backyard to shoot it. Taken at Kingsfort, County Meath, Ireland. When you think of autumn, you may think of flaming orange and crimson trees. And when you think of Ireland, you may think of endless fields of green. Both are beautiful sights. 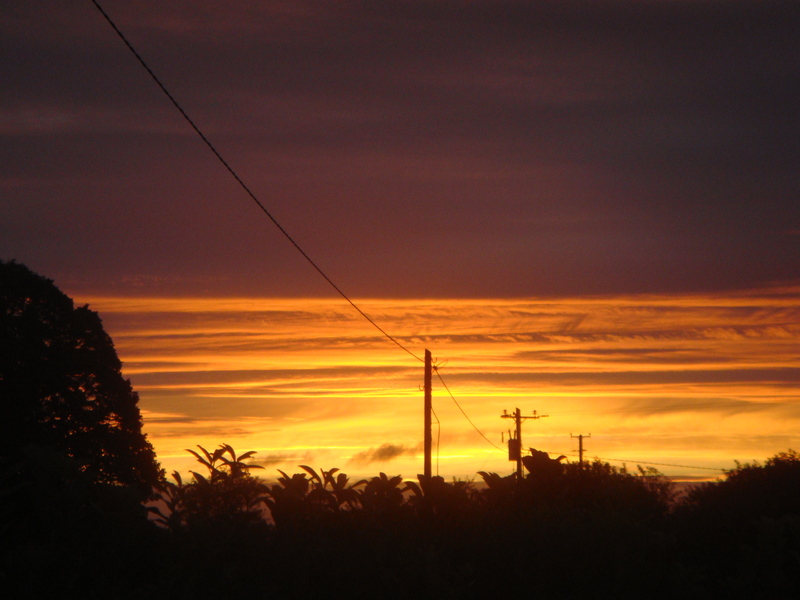 As is this view from my kitchen window near Moynalty, County Meath, Ireland. Even with the slight mist and glowering grey sky, the vibrancy of the redthorn bush, the golden yellow of the remaining birch leaves, the sparkling white of the berries and, of course, the legendary emerald fields offers a most pleasing vista. 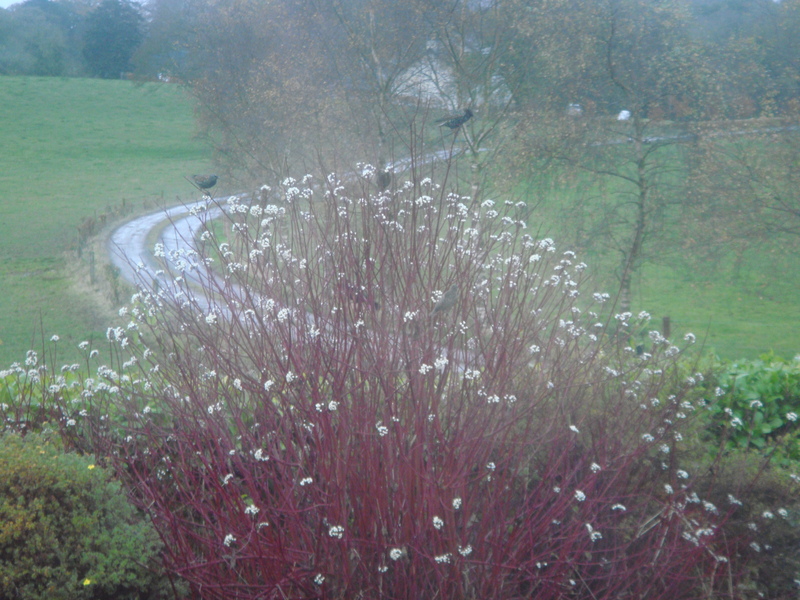 I have no idea what kind of birds those are but they arrive in flocks and now, 2 days later, the bush is decimated of its berries!